Working in 2 batches, place the cauliflower in a food processor and pulse until it resembles rice. Heat the oil in a large frying pan over medium heat, add the cauliflower and cook, stirring, for 3–4 minutes or until tender and cooked. 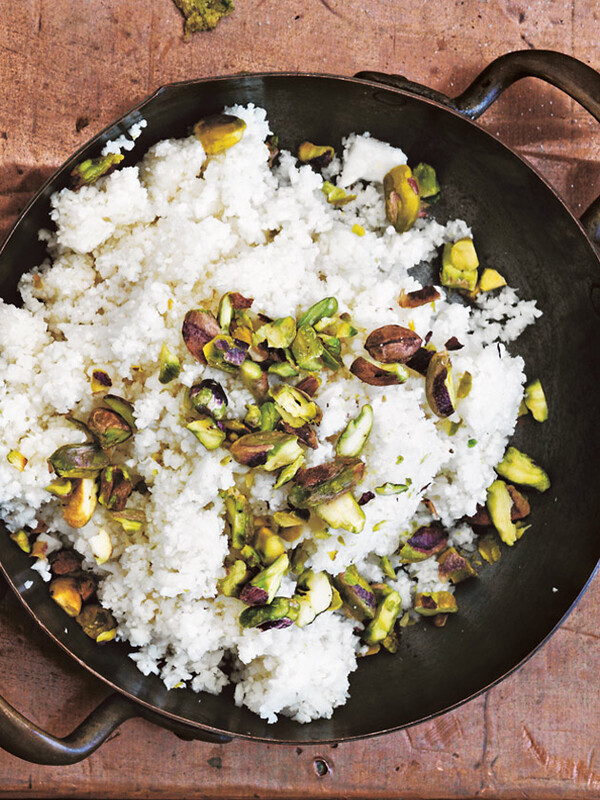 Top with pistachio to serve. serves 4.